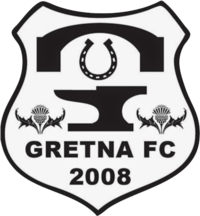 Vale v Gretna 2008-Todays game off due to waterlogged pitch. ← Tonight’s game against Lothian Thistle has been postponed due to a frozen pitch. Game rescheduled for 28 February.